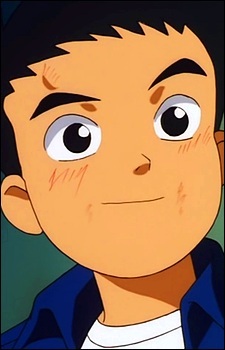 The protagonist of the series; accidentally teleported into the future from his "home", Tokyo, he ends up having to fight in Hamdo's army, where many soldiers are mere children that have been captured from villages the army conquered. With his outsider attitude, he stands out from the crowd, having an unusual amount of kindness and manners in comparison to the other children. Despite being a kendo fighter he's extremely clumsy, overly enthusiastic, and overtly optimistic, which usually causes him trouble as he's often being tortured, interrogated, or otherwise getting in trouble.